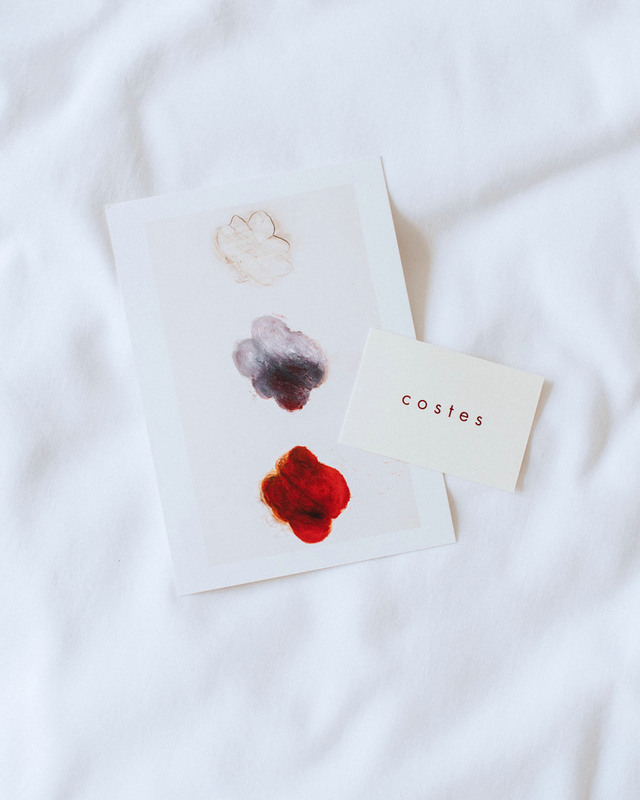 Hotel Costes feels like romance. For a Scandinavian accustomed to light and functional designs, the pompous interior is on the edge of being too much. Yet it is not. After all, this is a hotel. You visit it for experience, not to move in permanently. 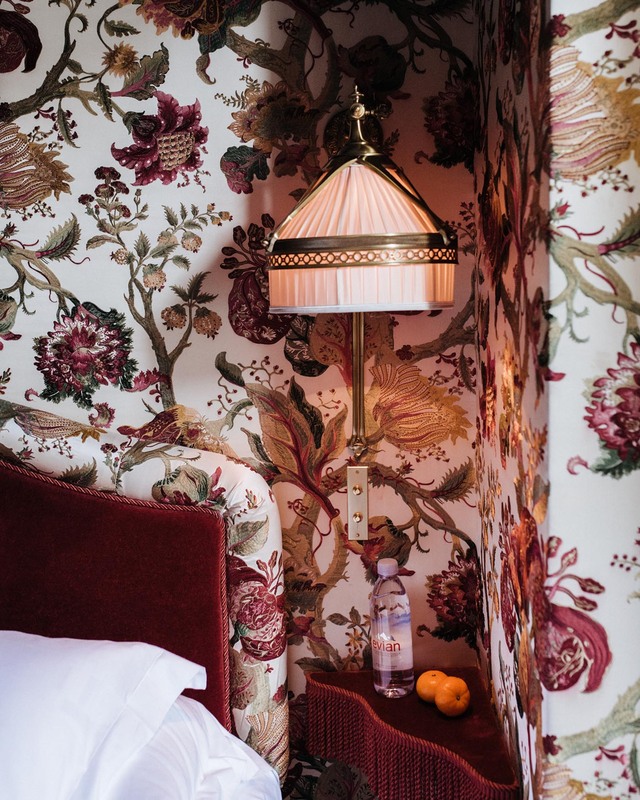 The red hallways, deep red velvet chairs and sofas, floral textile wallpapers, and the hammam and boudoirs on the ground floor create a sensual fairyland you are happy to pay a visit. Instead of grabbing your phone to take photos, the dim lights suggest caressing your loved one. Arriving at the hotel entrance on rue Saint-Honoré you are greeted by a group of men dressed in black and eager to help you with your luggage. 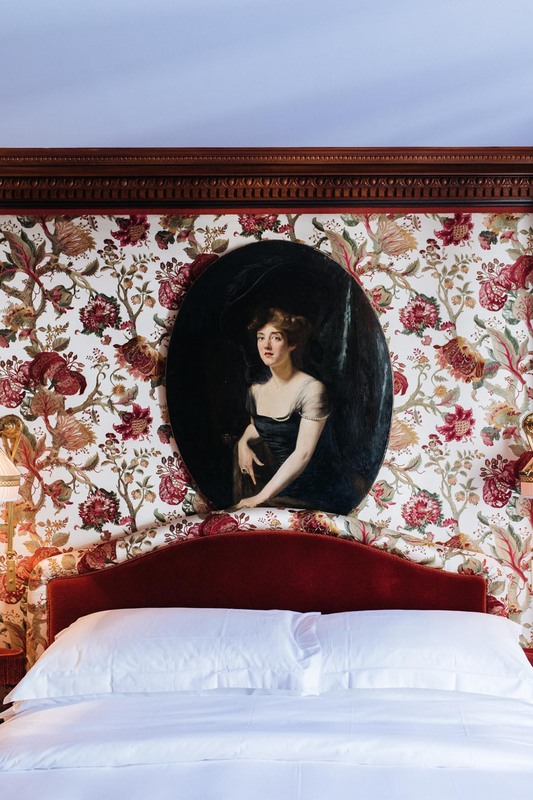 The typical luxury hotel thing yet more casual and flavored with a nonchalant Parisian vibe. On the spa area, staff is principally ladies who are dressed in white uniforms designed after a classic tennis dress. The playful costumes put a smile on your face. Whoever came up with the idea is winking at you through their work. But oh yes, the spa. Traveling a lot is never glamorous. Sometimes your body is simply slower to get to the destination than the plane that takes you there. That’s why for me, a great spa area is the best feature of any hotel or home. And I do not necessarily mean any spa treatments but simply a place where you can relax in and be refreshed from head to toe. 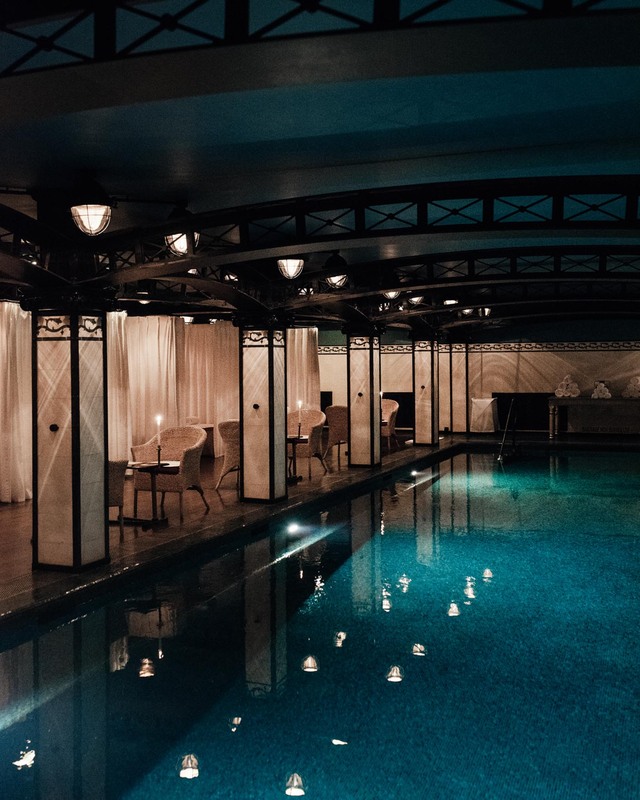 At Costes, you have a gym and a hammam style spa with pool and steam room on the ground floor. The steam room is the best. It is like being embraced by Moroccan mint tea that has taken a tender steam form. Tactile turquoise mosaic tiles and dim lights feel refreshing and calming at the same time. Between steam room visits, swimming and showering you relax on a daybed in your boudoir. Close the white curtains and you have total privacy. On a two-night stay, we ended up going to the spa four times, and also ordered breakfast there both mornings. Compared to my past travel diaries from Paris – including a lot of fashion week stuff and late night dancing – visiting Paris in my thirties feels like an elevated version of those visits, combining elements of fashion, art and restaurant hopping but also a lot of time for simply walking around the city, sleeping well and enjoying ordinary things. Back at Costes, the courtyard bar and restaurant is still, after more than two decades since its opening, very popular, especially Friday and Saturday nights. If you are a light sleeper, do request a quiet room. We stayed on the fourth floor with a window to the street side and were not bothered to the tiniest bit of the music and murmur downstairs.